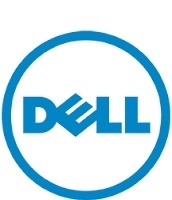 International warranty is available and applicable where Dell have a service center / authorized service partner. As long as the model being purchased is available globally, the parts would be replaced as available. Dell has no official sales channel in Saudi Arabia -- so anything that's bought there is sold, warranted and supported solely by the selling dealer. Any warranty on the system will require a return to the original point of sale for service. Dell does have official support in India; translation: buy the system there if it's where it is to be used. No matter what the dealer in SA tells you, the warranty on a system bought in that country WILL NOT apply to and will not be transferable to India.